Telehealth is making gains in popularity for providers and clients alike, but the majority of clinical supervision takes place face-to-face. Telesupervision, though, allows for supervisor and supervisee to meet without being in the same room. Here’s a bit more about telesupervision and how it can be helpful for supervisors, supervisees, and training programs. Telesupervision, aka e-supervision, is defined as the use of video conferencing technologies to supervise graduate students or assistants remotely. Supervisors can utilize video conferencing technologies to meet with students to discuss their objectives, assignments, and caseload, and to provide feedback. Supervision via video conferencing also allows supervisors to observe students working with clients or patients during live online sessions (telehealth sessions). What are benefits of telesupervision for universities? Telesupervision can help with clinical placements in a cost- and time-efficient manner. It can eliminate barriers such as distance, or bad weather conditions that supervisors might face in providing weekly supervision. 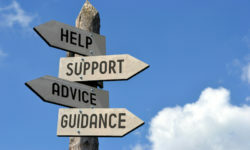 Telesupervision can decrease travel time from facility to facility, allowing supervisors to focus on supervision itself. It can help with training more students, who live in remote areas or attend distance graduate programs. Video conferencing supervision allows universities to hire more qualified candidates to supervise students during a clinical practicum, as they can reach more geographic locations. What are benefits of telesupervision for students? Telesupervision can help students with their clinical placements, especially if they live in remote areas. It can also provide a more consistent learning experience if other barriers prevent students from consistently attending brick and mortar clinics or university clinics. Telesupervision is found to increase communication between students and supervisors as they can instantly connect via video conferencing platform to discuss their clinical observations, needs and objectives in more detail without back and forth emailing. Students may also benefit financially from telesupervision, as it eliminates costs associated with traveling. Telsupervision is approved by many students as a satisfactory way of supervision however; students should comply with both their state and organization regulations to ensure that their state and organization recognizes and approves this type of supervision, and for how many hours. Cost associated with obtaining the right equipment, such as a computer, should also be considered. Internet connection speed is also very important as video conferencing relies heavily on internet speed. Poor connection speed can lead to poor online experience and miscommunication. The greater the internet connection speed the better the experience. On average the minim requirement for internet connection speed is 3 mbps. Universities interested in telesupervision must meet regulations set forth by the state and the accrediting organization, e.g. American Psychological Association’s (APA) requirements for supervision and accreditation. Not every single state might support telesupervision and some of states might have limits on number of allowed e-supervision hours. Some states require a few hours of in-person supervision as well. At times state regulations might be completely different from an organization or accrediting organization’s requirements. Costs of videoconferencing should be considered to make e-supervision feasible and sustainable. 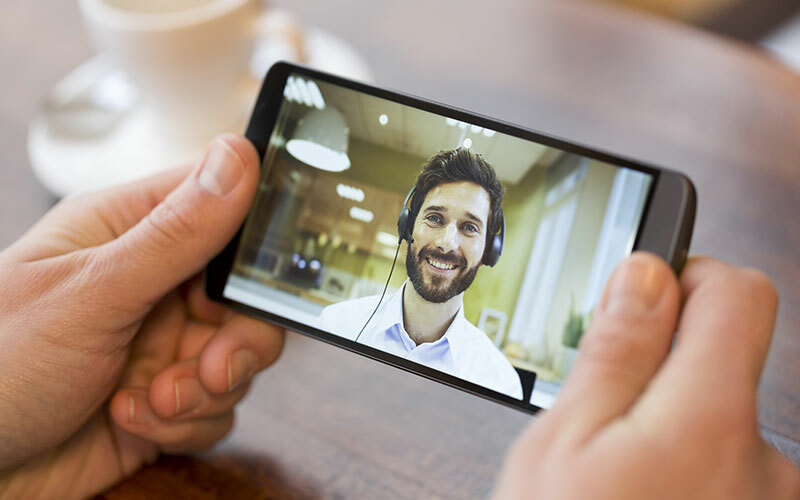 Web-based or cloud based video conferencing platforms, such as TheraPlatform, are more cost-effective than dedicated teleconferencing technologies as they don’t require any additional equipment and downloads. Users can simply subscribe to a web based platform online and have access to the video conferencing platform within just a few seconds. Technical requirements of video conferencing platforms such as required internet connection speed, network capacities, and need for additional downloads should be considered. Most video conferencing platforms require at least 3 Mbps connection speed (for a smooth online experience), a web-cam and a microphone. Devices supported by the video conferencing platforms should also be considered. Most web-based platforms run on both computers and mobile devices. 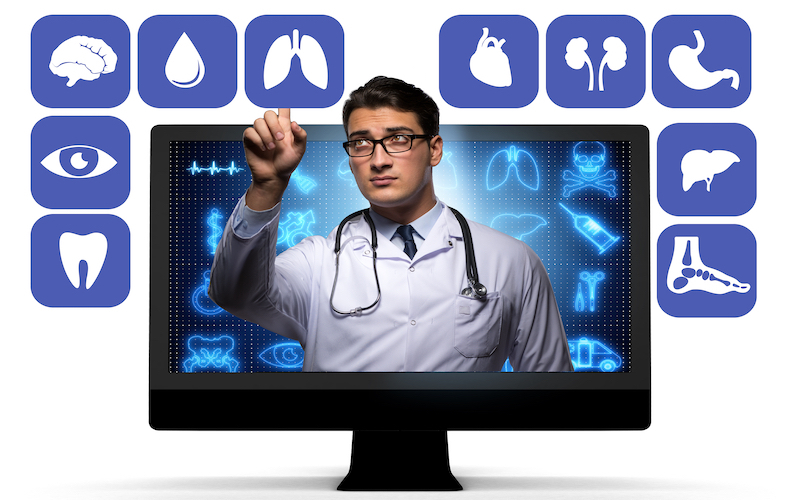 Video conferencing platforms should be carefully evaluated to ensure securing and privacy of individuals regulated under HIPAA, especially if supervisors plan to use a video conferencing technologies to observe students conducing therapy either online (teletherapy) or in remote clinic or patient’s home. HIPAA compliant video platforms should follow administrative, physical and technical regulations of HIPAA and sign business associate agreement (BAA) with their users. HIPAA compliant video conferencing platform should include unique user identification, verification that a person or entity seeking access is the one claimed; encryptions at the database, video conferencing and server’s levels ; have system in place for breach notification and audit controls, etc . Some general video conferencing technologies, e.g. Skype, don’t meet HIPAA’s regulations and do not sign (BAA). Quality of video and audio of the platform should be considered as e-supervision and teletherapy conducted over the platform should be equivalent to in person supervision or therapy. Free video conferencing technologies, used by the public, e.g. Skype, often offer worse quality of both audio and video and experience frequent dropped connections. Need for documenting and co-signing should also be considered. An important part of clinical training is also providing feedback on documentation. Supervisors are required to review students’ documentation and co-sign their reports and notes. Not every video conferencing platform offers integrated solution for documenting or note taking. TheraPlatform for example, does allow providers (students) to document assessment findings, goals of therapy and progress in therapy. Students can request co-signs and supervisors can review and co-sign all documentation. Supervisors planning to observe teletherapy session, during which students provide live online therapy, should also consider if the video conferencing platform allows supervisors to join teletherapy session (online meeting) attended by both a student and a client (patient). TheraPlatform, for example, allows students to schedule an online session (teletherapy) with clients and invite supervisors to the very same session as observers. The observer in TheraPlatform is “invisible”. This means that a supervisor can hear and watch both a student and a client interacting or working together but a student and a client cannot see or hear the supervisors. This observer set-up eliminates “external pressure” or intimidation that can be felt by both a student and a client and allows a student to develop a better rapport with a client. Familiarize yourself with both your organization’s and state’s regulations regarding e-supervision. Familiarize yourself with your university’s policies and procedure for implementing video conferencing platform or any additional software or technology. Review budget with the university and all deadlines for investing in technology. Reach out to potential stakeholders that might help with students’ placements. Evaluate your current technology, e.g. age of the computer, internet connection speed and network capacities at the campus or at your location. Research and evaluate different video conferencing platforms and their technical requirements. Sign up for a free trial with a video conferencing vendor. Learn how to use the video conferencing platform. Run a small pilot with a few students and patients to determine if the video conferencing platform meets your needs. Barnett, Jeffrey E. (2011). Utilizing technological innovations to enhance psychotherapy supervision, training and outcomes. Psychotherapy 48(2), 103-108. Priya Martin, Saravana Kumar, Lucylynn Lizarondo. (2017). Effective use of technology in clinical supervision. Internet Intervention, 2(8), 35-39. doi: 10.1016/j.invent.2017.03.001. eCollection 2017 Jun. Beata Klarowska, M.S. CCC-SLP is a co-founder of TheraPlatform, a telehealth video conferencing platform for therapists. She has a background in communicative disorders, and worked in a medical setting, collaborating with mental health providers, occupational, physical therapists and medical doctors, and treating patients at all levels of care. She also developed over 40 apps targeting cognition, communication and language. Her apps have been cited in number of text books and presented nationally by professors and clinicians. She is passionate about sharing her knowledge about technology and telehealth with fellow clinicians. When away from technology, she loves spending time with her family!